The MED ace camera series from Basler is specially designed for Medical & Life Sciences. Available with 2 MP and 5 MP resolution, the cameras are equipped with CMOS sensor technology which guarantees a high-quality image: pixel sizes up to 5.86 µm, low temporary dark noise (minimum of 2e-) and sensor sizes up to 1.1 inches. In addition, the Basler MED ace can achieve up to 164 frames per second with a resolution of up to 20 MP when featuring Sony’s Pregius sensors or the PYTHON sensors. 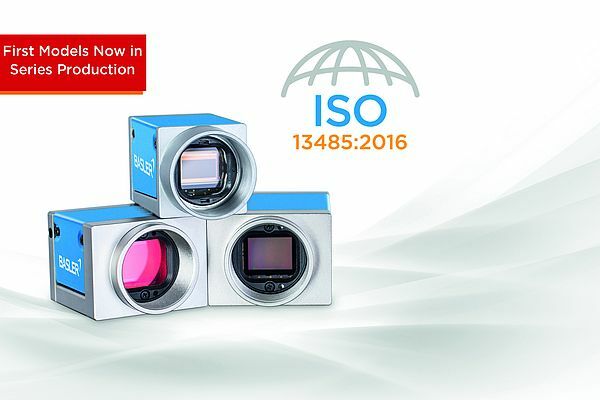 The camera series is compliant with DIN EN ISO 13485:2016 and delivers clearly defined quality standards. The Feature Sets combine hardware, firmware and software features, providing easy compliance, brilliant image, perfect color, low light imaging, high speed and industrial excellence. Furthermore, Basler’s 6 Axis Operator and the Color Calibrator enable full control of the image’s color appearance.